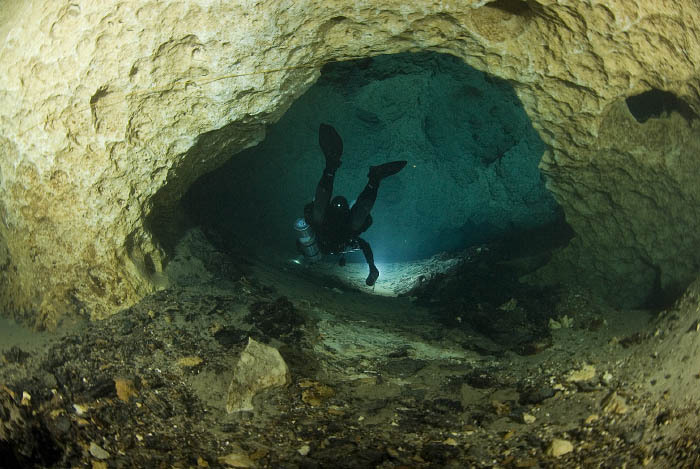 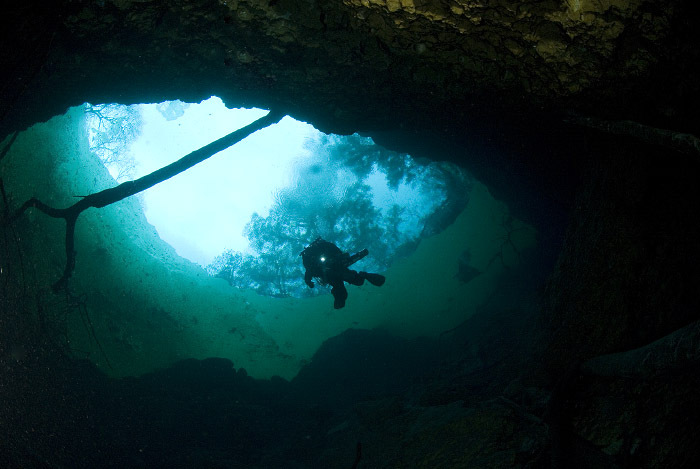 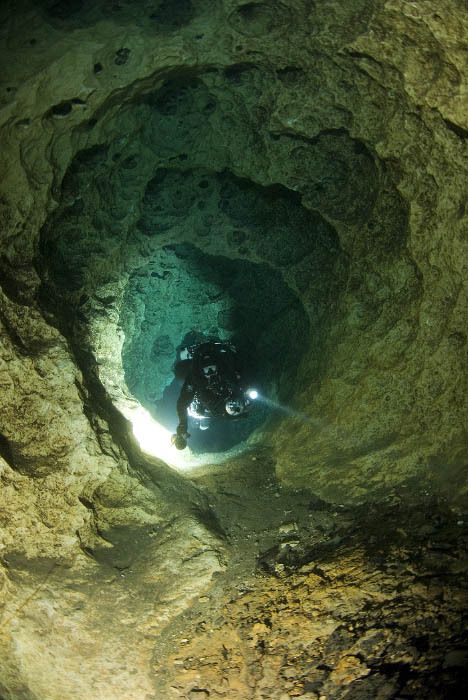 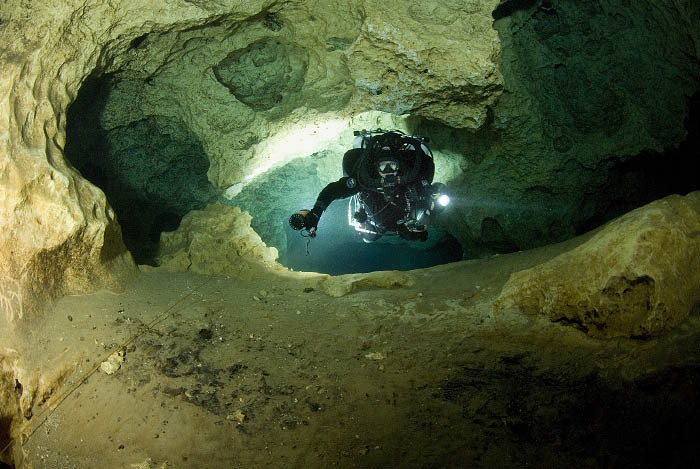 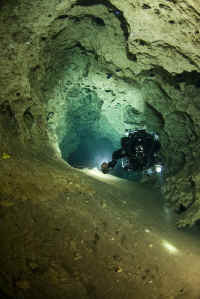 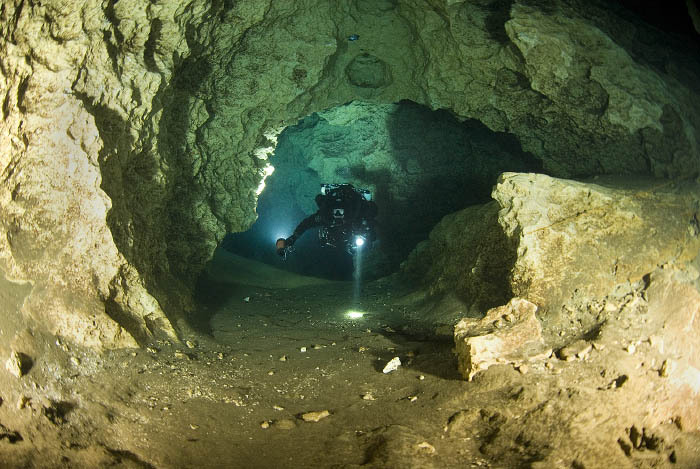 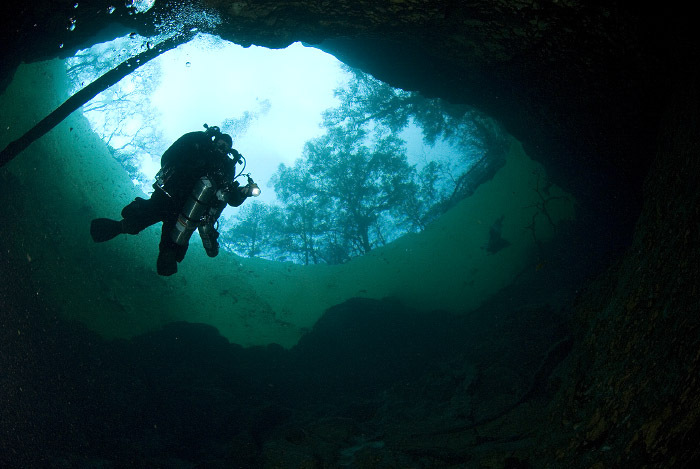 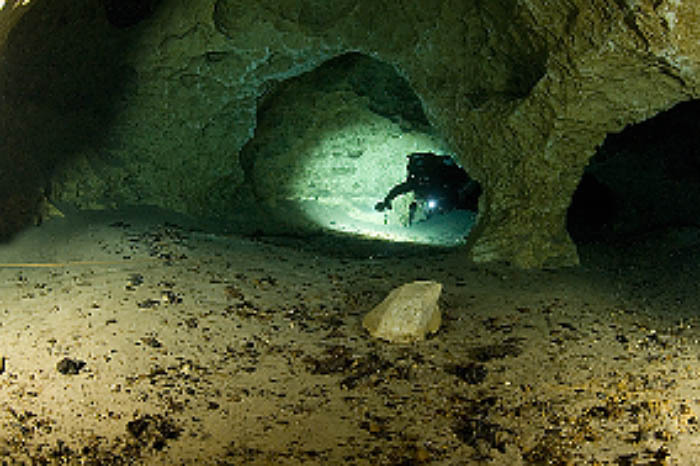 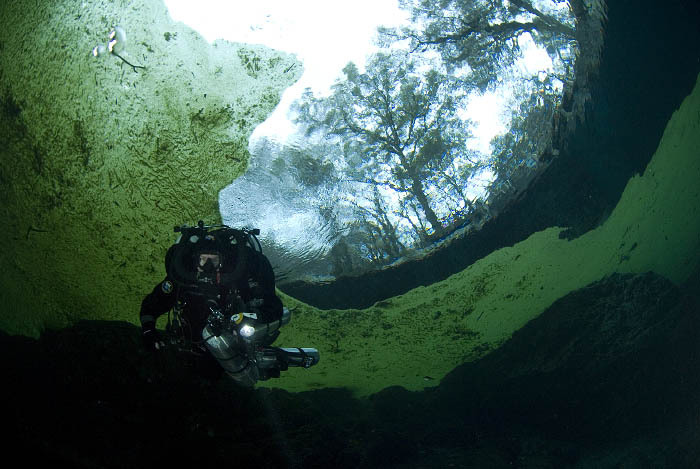 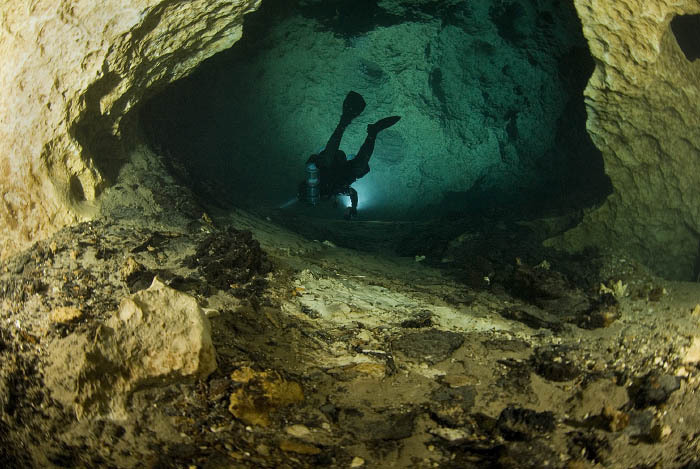 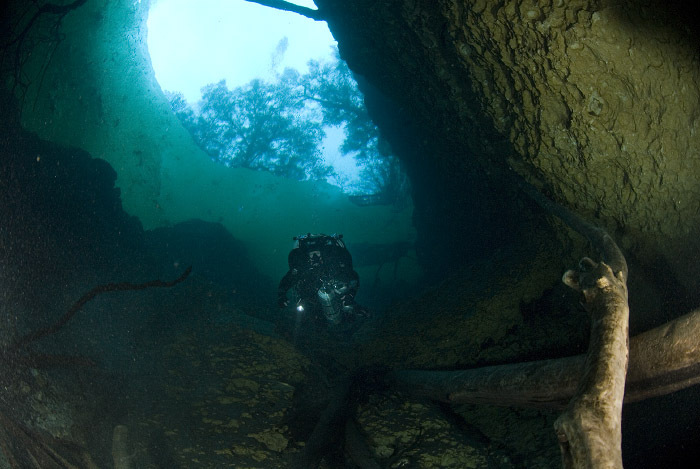 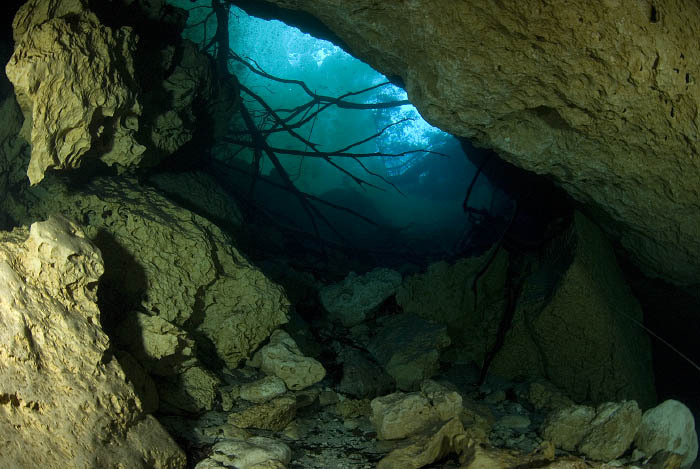 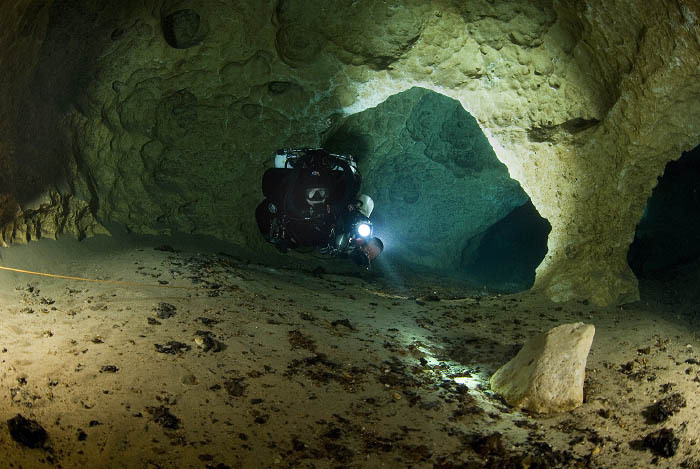 This was my first Florida cave dive. 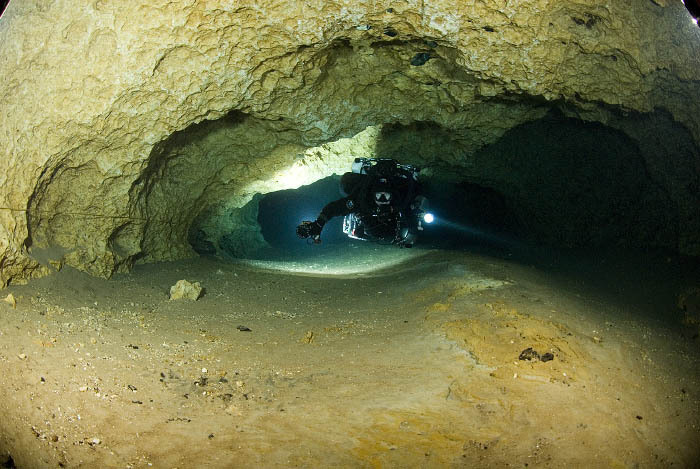 Being Mexico-trained, buddy and I decided to start our Florida adventure in the low flow caves. 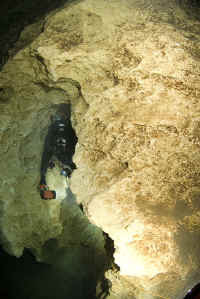 Orange Grove and Peacock 1 are both the same system, but since it is unlikely we'd even be doing a traverse, I made two separate pages. 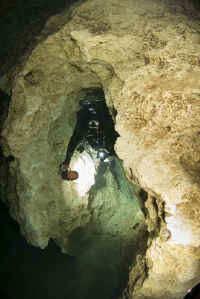 Peacock is a training cave and it showed. Lots and lots of marks in the clay on the floor, some with the full complement of fingers. 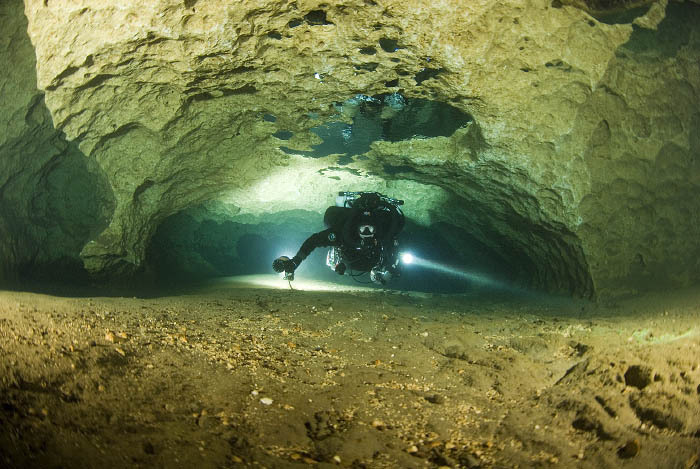 The best part was the cavern - covered by duck weed, it provided nice background to some buddy shots.